Follow this 16-week training plan to run your fastest marathon ever. Running a marathon is a big goal, and achieving it requires hard work. Running a marathon faster than you ever have before is an even bigger goal, and it demands an even greater commitment to preparation. But chasing a marathon PR isn’t all about training hard; it’s also about training smart. Our 16-week marathon PR training plan relies on proven best practices to challenge you in a way that will give you the best possible chance of finishing your next marathon faster than ever. 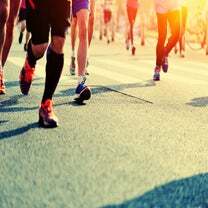 A lot of runners think marathon training is all about the weekend long run, but research suggests that overall weekly training volume has a bigger impact on marathon performance than does the distance of the longest individual runs. That’s why our plan features six sessions per week. 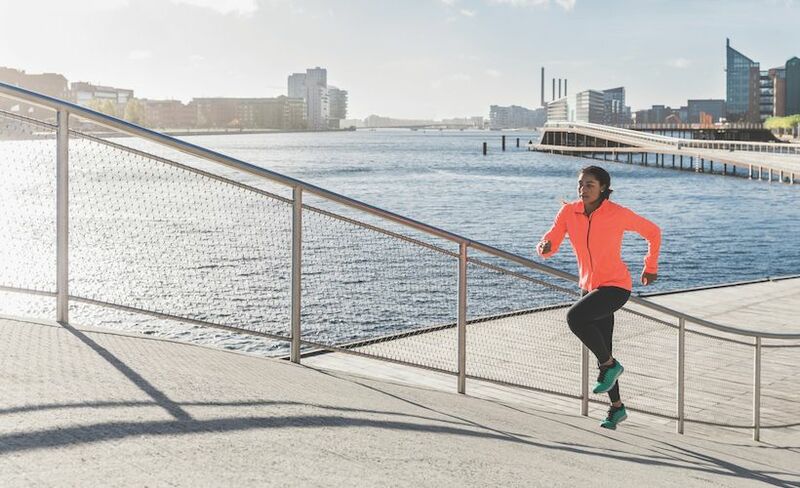 If you’re not used to running this often, don’t worry—two sessions per week may be done in a nonimpact cardio modality such as elliptical running. 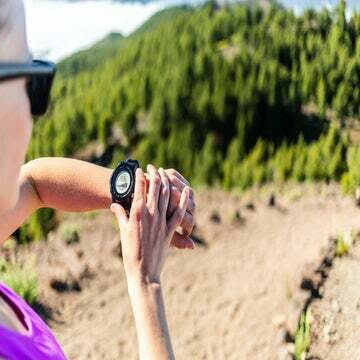 Another key difference between training to finish a marathon and training to PR is that when you’re training just to finish, your long runs can and should be done at low intensity. But when you’re chasing a certain time, you need to inject some faster running into your long runs to get used to pushing the pace on tired legs. Our plan does this in the latter weeks. Speaking of intensity, there are three levels of intensity in this plan: easy, moderate and hard. “Easy” is a comfortable jog that allows you to speak in full sentences without losing your breath. “Moderate” corresponds to the highest speed you could sustain for 60 minutes in a race situation. “Hard” is 80 to 90 percent of the effort level you could sustain for the required distance, which means a 20-second hard effort should be run a little faster than a one-minute hard effort, a one-minute effort faster than a two-minute hard effort, and so on. As with any training plan, try to be as consistent as possible in following this one, but at the same time, listen to your body and give yourself extra rest when you feel you need it. 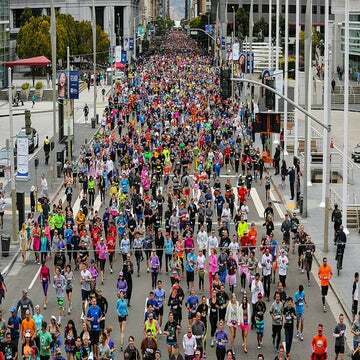 Don’t Forget: Your First Marathon Is Always A PR! 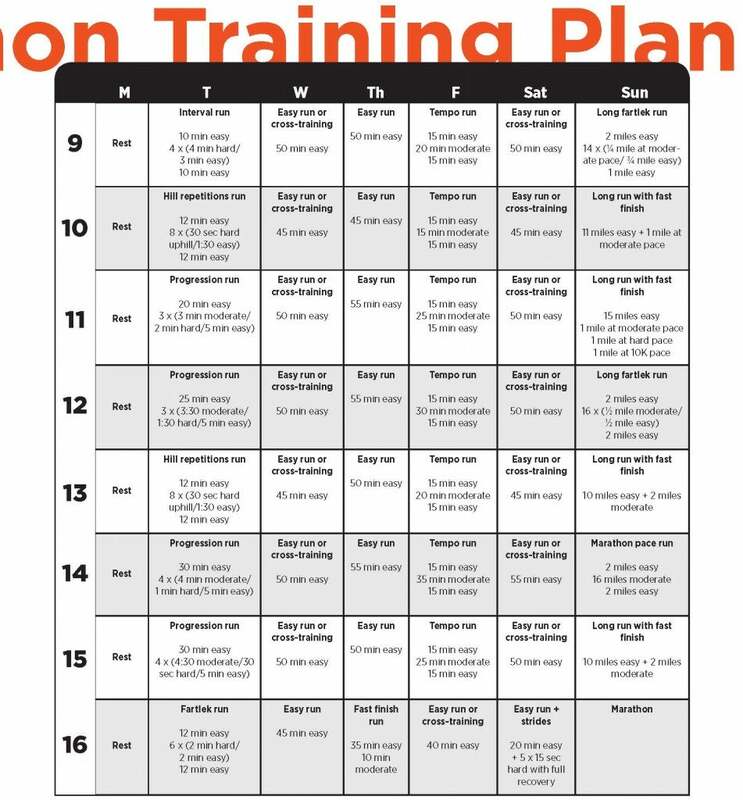 Do all of your long runs at low intensity, and complete the following sequence of distances over the 16 Sundays of the plan: 6, 7, 8, 6, 9, 10, 11, 7, 12, 14, 16, 8, 18, 20, 12, 26.2. Treat Wednesday and Saturday workouts as optional. Do them only if you have the time and energy and can complete them without compromising your performance in the other workouts. One option is to leave these sessions out of your routine initially, and then gradually phase them in as your fitness improves. Reduce the number of intervals/repetitions in each Tuesday workout by one. So, for example, instead of doing 8 x 20 seconds hard in Week 1’s fartlek run, do 7 x 20 seconds. Got A Solid Base? 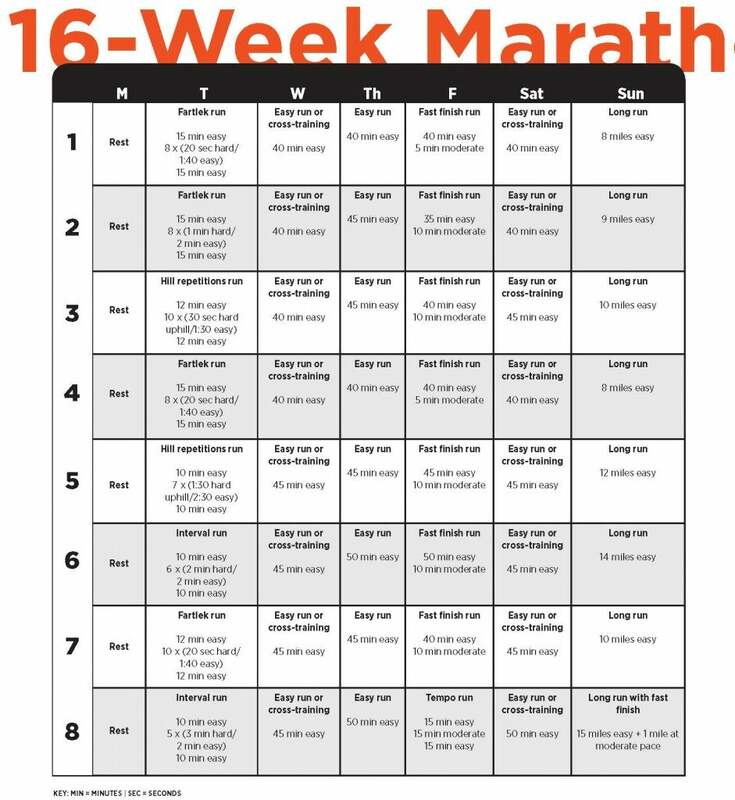 Consider This 8-Week Marathon Training Plan.